There’s an amazing list that just came out on the “Top 19 Yoga & Movement Teachers to Watch in 2019”, and I am honored and thrilled to be included in it! Click here to check out the article, and to find out what my favorite word is and why (and much more, of course!) I hope you enjoy reading more about my perspective on yoga & movement, as well those of all of the other interesting and innovative teachers who were featured. Welcome to Kettlebells + Yoga and Our New Special Guest Teacher in my Class Library! I’m more than excited to welcome our newest special guest teacher to contribute to my online class library: the amazing Lizette Pompa!! I have been a huge fan of Lizette for a long time, and I was thrilled when she said yes to the idea of contributing some kettlebell + yoga flows to my online class library! Using a kettlebell is one way that we yogis can bring a form of external load into our yoga practice, and Lizette does a great job of unifying the feeling of a yoga flow with the added load / "prop" of the kettlebell. 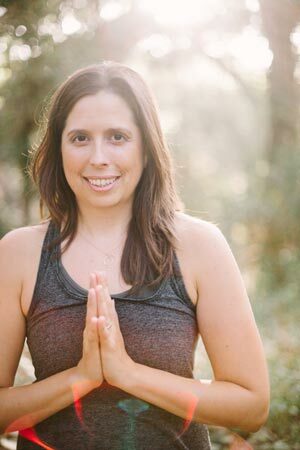 Lizette is a yoga teacher and yoga studio owner based in Uppsala, Sweden who loves to incorporate strength into her yoga classes. She is incredibly strong and dedicated to her yoga practice, and she inspires me every day with her posts on Instagram. I hope you love her first practice in my library (which is only $8.99/month for unlimited access to all classes & you can cancel anytime, by the way!) I've already taken this class two times, and my body is verrry happy! If I could have one wish for our yoga community in the coming year, it would be for us to intentionally *load our bodies* more. But what do I mean by that? When I talk about loading the body, I just mean exposing the body to enough of a physical challenge that its tissues are stimulated to *adapt* to become stronger. When our tissues become stronger, our whole body becomes more resilient. We are less likely to experience injuries because we’ve increased the load-bearing capacity of our tissues, we have more confidence and trust in our body (which can decrease the likelihood of pain), and research suggests that higher levels of strength levels are associated with increased longevity and long-term health! So all of those are excellent reasons to load our body regularly. But as amazing as yoga is (and I personally love this practice! ), yoga is actually a *low-load* activity. For all of the talk we hear these days about injuries in long-term yoga practitioners, the reality is that it’s most likely *underloading*, and not overloading, that is the root cause of the bulk of these injuries. Crazy, huh? 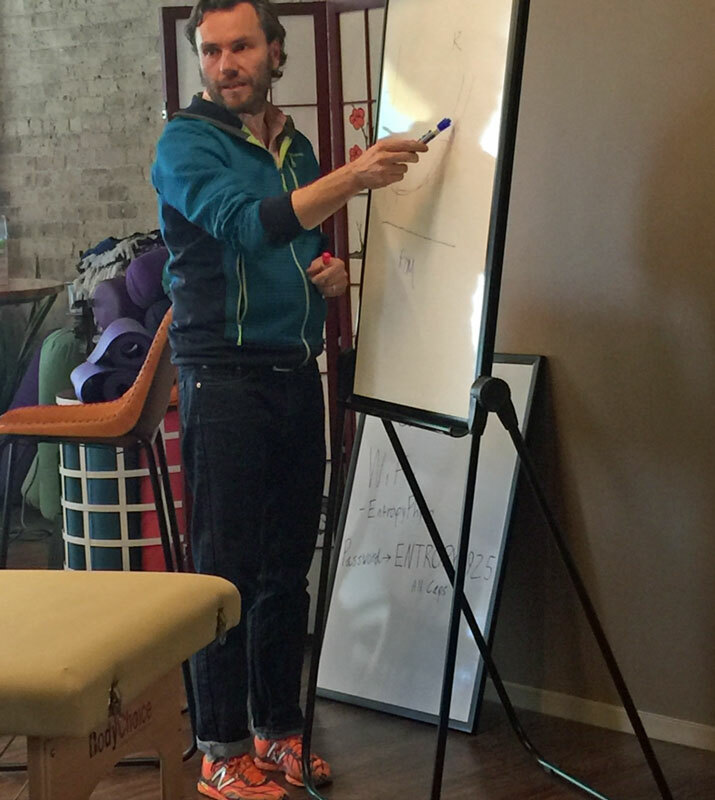 More load = more resilient tissues = happier yogis! It’s so easy to think about backbends as being all about the spine. And they do of course involve the spine, but did you know that our spine doesn’t move as efficiently or powerfully without the support of the arms & legs? For example, have you ever lifted up into cobra pose (bhujangasana), and felt your feet get light on the floor? (I know I have!) This is often a sign that our legs have disengaged from the movement. And in camel pose (ustrasana), it’s easy to place our arms in position without asking them to work much or to really “engage” with the pose. But if we instead work on *active* shoulder extension (arms moving behind you) and connecting to our lats (back muscles), our camel pose might feel more supported, lifted, and quite transformed! These are just a couple of examples, but you can apply this idea to all backbends. Get your arms & legs activated & participating in your backbends, and notice the difference in how your spine feels! Strength, Flexibility, Endurance, etc: How Does Yoga Stack Up? Depending on which yoga circles you tend to run in, you might hear the message that A) yoga is a panacea that gives our body everything it needs, or B) there a ton of things wrong with yoga and although it does have psychological and spiritual benefits, it doesn’t do much for us on a physical health & fitness level. Now I’m exaggerating somewhat for effect here, but I do observe two distinct camps in the yoga world. As someone who started off my yoga journey in camp A and then later migrated to camp B for a time, I can certainly relate to both perspectives. 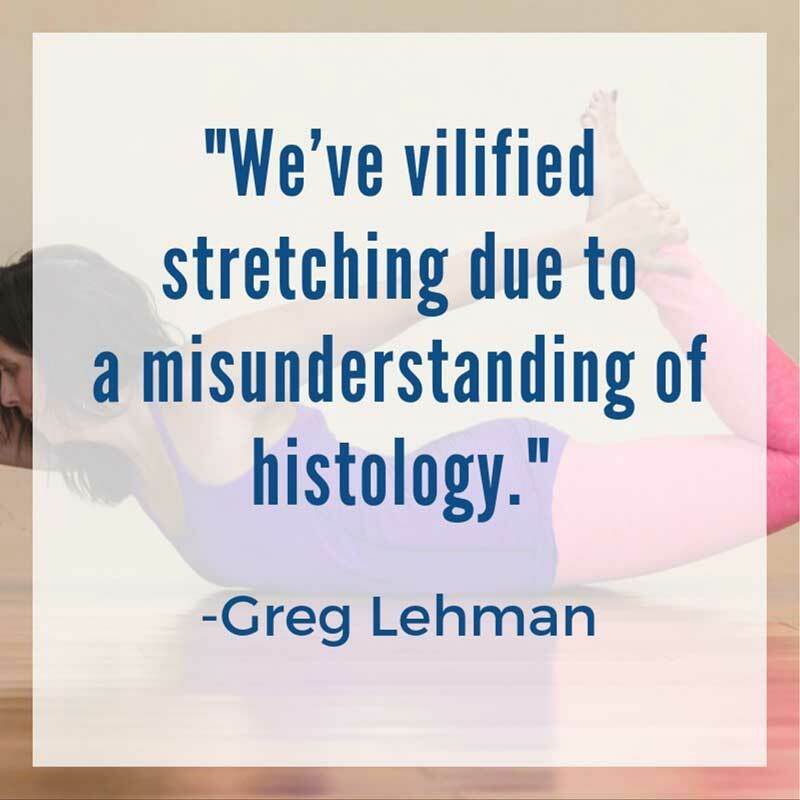 But these days I prefer to take a realistic, evidence-based approach that is more nuanced than either camp A or B.
It’s a physiological fact that yoga doesn’t offer our body everything it needs to be healthy. (No single physical activity possibly could!) Those in camp A would be wise to reconsider this idealistic approach. But at the same time, there are many fitness and health-based benefits that yoga truly does offer us that seem to be overlooked by many in camp B. As an example, I recently put out a survey via my Instagram account that asked people to respond with the ways they thought yoga was good for our body. I received many excellent responses, but to my surprise, no one mentioned any musculoskeletal/biomechanical benefits from the practice at all! The reported benefits were mainly psychological in nature, such as relaxation, time for introspection, improved body image, etc. But there wasn’t any mention of physical benefits such strength, flexibility, endurance, etc. And so today I thought we could look at some classic core components of fitness and use research and critical thinking to determine if and how yoga includes these components. Once we understand which components yoga offers and which it doesn’t, we can then decide to either integrate some of the “missing” items into our yoga practice to the best extent that we can - or we can simply choose to partake in other activities that naturally do a great job of offering these components. There are of course many other benefits of yoga beyond physical ones, but I’d like to focus on this category specifically because I feel that our yoga community could use some clarification on these points. Of course there is a lot of nuance to this topic. Yoga doesn’t seem to improve flexibility for every person at all joints, and oftentimes additional techniques like directed muscle contractions during stretches can help increase flexibility more efficiently than classic yoga techniques alone. Additionally, there is a growing discussion around the distinction between flexibility and mobility, with mobility being the preferred quality to pursue over flexibility. But because “flexibility” is the official term on most fitness component lists, let’s just keep this discussion simple and consider flexibility to be about range of motion (ROM), and we’ll assume that in general, most of us could use to increase our ROM, at least at some joints. And with that said, yoga in general has been shown to reliably improve flexibility in most people! Yoga can definitely offer muscle strengthening benefits, but they are limited. For example, yoga does strengthen the upper body in a “pushing” direction of movement (think pushing the floor away in plank pose or chaturanga), but it does not include significant strengthening in the “pulling” direction of movement (think pulling your body toward something, like a pull-up). Additionally, because yoga involves bodyweight only, it can definitely strengthen our body up to a point. (And some yoga classes intentionally incorporate creative bodyweight strengthening moves to maximize this benefit for yogis.) But once our body adapts to the loads of our bodyweight, if we’re interested in further strengthening, we need to start using some form of external loading (i.e. weights or another form of resistance). To accomplish this, we could try incorporating some forms of external resistance into our yoga practice, or we could take on a separate weightlifting practice, which is a physical activity whose very “job” is to increase strength. Muscle endurance is a distinct category from muscle strength (although there is some natural overlap between them.) Whereas muscle strength is defined as the amount of force that a muscle can generate against resistance, muscle endurance has to do with a muscle’s ability to sustain a submaximal contraction for an extended period of time without fatiguing. Does yoga increase muscle endurance? From my look at the research, I didn’t find an abundance of high-quality studies that examined this, but the studies that I did find seemed promising. These two studies [Ref, Ref] both saw muscle endurance increase in their experimental yoga groups. I also found two studies on Pilates mat exercises (different from yoga, but similar in that they use bodyweight only and no equipment), and in these studies muscle endurance also increased from the practice [Ref, Ref]. Additionally, based on my understanding of how muscle endurance works, I would imagine that regularly practicing sustained standing pose sequences would build muscle endurance in the lower body, as would repeatedly practicing vinyasa-type sequences for the upper body. It’s tempting to equate the term power with the term strength, but in fitness terms, these are two separate (although related) qualities. Whereas strength means the amount of force a muscle can generate against resistance, the term power means how fast you can exert the strength that you have. Power might start to make more sense if you consider some activities that typically utilize it: sprinting, swinging a baseball bat, and playing basketball all require an element of generating force very quickly. In order to train for power, activities like plyometrics (jump training) and dynamic kettlebell work are often recommended. Yoga, by contrast, is a slower-paced activity. Even faster “power yoga”-type classes (no pun intended!) are still slower in speed than the fast, explosive movements of power-based training. One could possibly argue that jumping back to chaturanga might be a power-type activity because it’s done quickly and utilizes strength - but this isn’t enough to qualify yoga as a “power”-building activity in my opinion. If you’re looking to train the element of power, there are many other activities that are excellent at offering this! Yoga includes many poses that naturally challenge our balance, including high lunge, warrior 1, and all of the single-leg standing balance poses (tree pose, dancer pose, etc.) 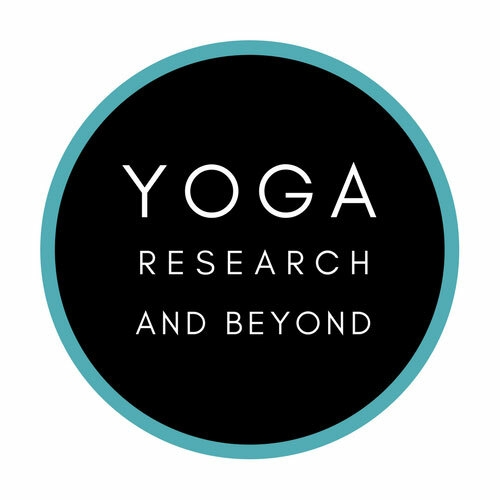 It seems like common sense to assume that yoga would therefore have positive effects on balance, but research has actually demonstrated this to be the case as well [Ref], [Ref], [Ref], [Ref], [Ref]. As we age, the risks from taking a fall can actually be quite detrimental to our health and well-being, so yoga’s potential to help us improve balance is a very valuable benefit on a functional level. Additionally, when we take arm balances and inversions into account, yoga also helps us to work on balance with our hands as our base of support. So yes, in many regards, yoga helps us to improve balance! Proprioception is your sense of how your body is arranged in space, and it’s intimately connected with the “body maps” in your brain, which are neurological representations of all of the parts of your body. The more accurate your body maps are, the better your proprioception, body awareness, and quality of movement in general. I didn’t find a plethora of good studies on yoga and proprioception (although proprioception is included in the discussion of some of the studies on yoga and balance that I included in the “balance” section.) However, given that yoga is a low-load activity that tends to be practiced slowly, mindfully, and with control, it would stand to reason that it has the potential to improve our proprioception and to help clarify our body maps in our brain. Most of us are familiar with the idea that a “cardio” or “aerobic” activity is one that has the heart rate elevated for a sustained amount of time. Classic cardiovascular endurance activities include running, swimming, and biking. Based on our understanding of how these aerobic activities look and feel (elevated heart rate, sweating, shortness of breath, lots of exertion), it seems clear that yoga is not a cardiovascular fitness practice to the same degree as these other classic activities. However, depending on the pace of the yoga practice, I believe that some yoga classes could be considered low-intensity cardiovascular activities. Other research on this topic is mixed. These two studies [Ref], [Ref] did not support the idea that yoga could be considered cardiovascular exercise, but the type of yoga examined did not appear to be a very intense form. These two studies [Ref], [Ref] were more favorable to the idea - although the first one would be stronger evidence if it had included a control group. My feeling is that if the style of yoga you’re practicing includes faster pacing and causes you to feel like you are moderately exerting yourself for a sustained amount of time, that practice could be considered a form of low-intensity cardiovascular exercise. On a related note, I found a thorough research review that looked at 69 studies on whether yoga reduced the risk of cardiovascular disease and metabolic syndrome, and it concluded that “there is promising evidence of yoga on improving cardio-metabolic health” [Ref]. This isn’t answering the question of whether yoga improves cardiovascular endurance, but it does suggest that yoga can offer similar health benefits to cardio-type exercises! The reality of yoga’s effects on the body is of course more nuanced than this generalized list. For example, a gentle yoga class will probably not include the elements of strength, muscular endurance, and low-intensity cardiovascular endurance - but it might include balance, proprioception, and flexibility. And a faster-paced vinyasa yoga class might include the elements that a gentle class doesn’t - but these won’t be endless, and they really do depend on what and how an individual teacher chooses to teach. When making decisions about your own yoga and movement practices, consider yoga in the context of everything else that you do on a regular basis. For example, if you happen to trail run 2-3 times a week, you might not be interested in the potential cardiovascular benefits of faster-paced yoga classes; perhaps you would choose a slower-paced practice instead. If you strength train regularly at the gym, you might not need to focus on strength in your yoga practice; perhaps a gentle type of yoga is the right fit for you. And if yoga is your sole form of physical activity/exercise, then it would be great for you to take yoga classes that excel in movement variety and well-rounded strengthening so that you can maximize the benefits from your practice. In general, the more that we appreciate yoga for what it does offer us while accepting what it clearly doesn’t, the higher our chances are of finding fulfillment in our yoga practice and balance and health in our bodies.